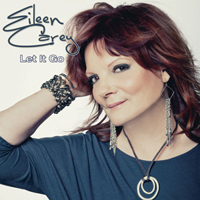 Eileen Carey’s ascendency to the top of independent country music, and arguably to the top of the adult contemporary/Top 40 radio markets as well, is characterized by her amazing fortitude, which she generously shares with all. Time and again her songs suggest alternative options to what holds people up in their lives. They do so with her magical ability to make a chorus melody and hook sink deep into the better part of the listener’s consciousness. And, the onetime actress has done so while raising two daughters and navigating a successful marriage as well. In pop culture today, that in itself is notable. I have been a fan of her music for some years now, having ran into her on Twitter, and was literally floored by her strong voice and positive message. 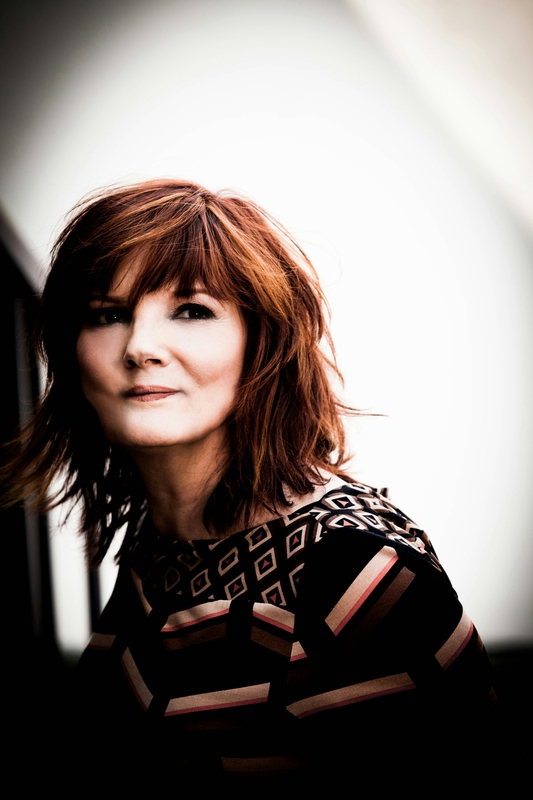 This is a recent interview I have conducted with Eileen. She always has something to say. Eileen in 2013 we had our last long interview. You told me about your acting career which was pretty impressive. I guess you’re co actors are pretty proud of what you achieved? Hard to tell Isabel. The U.S. is a big place and I have only kept up with a small few since those days; but of course some of my old friends have expressed their pride. Been a long time now since I worked as an actress outside of my music videos though. I think that many of the people in Southern California and Nashville that I have worked with as a singer and songwriter in the past, root for me now. You know Isabel, it was never my intention to be an actress. I wanted to be a filmmaker so I got involved with the movie industry when I came to Los Angeles to learn the business. I felt that you needed to learn the movie business from the bottom up. Just like any business, the restaurant business for example, if you can’t cook yourself it is hard to communicate what needs to be done to others. As for the actress, I just kept getting picked out of the crowd for roles. Acting was a conduit to my wanting to direct, but music was always first. How many are dazzled by this big career move? Music was my first love so really not many folks were surprised anyway. My film friends, music friends, friends and family are not so much dazzled as happy for me. I have been making music for a long time, and my music fans have long expected my success. In 2014 the real challenge began. Nominations all over and awards besides Tammy Wynette not 1 country singer achieved that. Not even Dolly Parton or Patsy Cline. How does it feel? I am not ready to put myself in that lofty group. It does feels great though! Awesome to be doing what I love with my life. The nominations and the awards are great, but not nearly as great as watching people jumping and dancing and loving my music when I am on stage. I cherish my friends like yourself Isabel who continue to support me and let their fans know of me and my music. That is what matters to me most. In 2015 you were on the New Music Weekly radio charts all year. “Bottle Your Crazy Up’ and “Faith” were number one for several weeks, on both country and AC/Top 40. Can you tell us how it feels to walk into the studio again to record your next CD? Let It Go was so successful, are you concerned by the high bar you have set for yourself? I am a perfectionist, so yes of course I am concerned. I am also excited and confident that my next CD will be even better, and lead me to new opportunities to sharing my music with folks worldwide. As for the writing over these past couple years, I have been jotting down notes and ideas so I am going into the next album with a good idea of what I want to say. Many journalists hardly ask about you’re charity. I know you do a lot. Somehow it’s a sideline that few know. I know you want to tell so much more about it. I am glad to have the opportunity to reach people through my notoriety about causes I believe in. One of the blessings of having an artist footprint in the world is that people tend to pay attention to you. I have a thing about homelessness, whether people or animals; and that young people should not hinge their self-worth on romance and dysfunctional relationships. I have a thing about people creating the life they want to create. My songs are all about self-determination and courage; male or female. Country music is so full of broken-hearts, but my subject matter is what separates me from many of the other country artists. My positive message. What inspired you to take music as a career over acting? I was always into music. Played drums at 13 years of age. Sort of fell into acting out here in Los Angeles. As for taking up music as a profession I was working for a hotel chain booking the entertainment, and I kept thinking I could write and sing as good as any of them. I was fortunate that I had the support of my family from day one! My husband and children are still my biggest fans. You seem to have a lot of good people around you. Obviously I know Joey Alkes, and I am impressed at the quality of your art work, shows you play and continuous online footprint. Who are some of the people that have helped you emerge into a star? Well again, “star” is a big word. I have had the good fortune to have some great people in my corner. My producer Travis Allen Childress and my music director and lead guitarist John “groover” McDuffie have been essential in my career. John is the legendary Rita Coolidge’s music director and lead guitarist as well, and on occasion I lose him to her for a show (lol). My songwriting partners especially my good friend Kathryn Grimm. My Nashville publicist Susan Collier and my radio team; Alan Young and Paul Loggins have been amazing. Jennifer Blair, and as you know Joey has been with me for the past few years. You mention the art and design and that is the great work of Christine Caracciolo. Al Bonhomme my rhythm guitarist in Los Angeles, and Dan Hagen the same in Nashville. Recently, a marketing person whom has had an impact on my career, a young women from Canada just passed away from lung cancer. Her name is Nadine Gelineau. Her company Musebox led to the CBS LA Weekend Morning Show, and the last two music videos (“Faith” and “Party at the Beach”) came out of her company and a filmmaker named Taner Tumkaya. The photos I am going to be using for the next CD was shot by another member of the Musebox team, Kharen Hill of Public Pictures. I am currently retaining an off-shoot of the MuseBox for marketing, Erik Koral of the Koral Young Group. My husband, Joe Federico, did quite well in business in the past and we use to go to certain business seminars. One of the things that impressed us was the idea that you have to have good people around you and working for you, or with you, if you want to succeed. When can we expect a new a new album? I am not sure. As I said earlier, I am a perfectionist so “when” is hard question to answer. Thankfully I run my own music business and don’t have a label pressuring me for a half-baked release to fit their timetable. I will release a new single that will be on the next album release, in time for, or just after the CMAs. What message do you have for all for 2016? Follow your dreams! I cannot emphasis that enough! If you want things in life you have to work for them, yes. But, if you follow your dreams the work will not deter you.